Despite massive budget cuts, the University plans to move forward with the construction and renovation of several facilities as a way to attract more students to campus. Michael Davis, assistant vice president for facilities, said in the past, the University lost students during the recruitment process because of poor facilities. 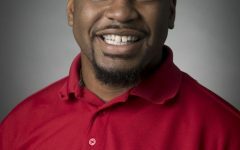 Davis said students consider the academics Nicholls has to offer but they also want better living conditions and activities such as the recreation center. 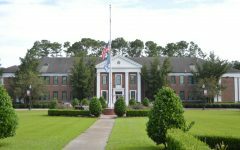 The opening of the recreation center will no longer put Nicholls at a disadvantage when it comes to recruitment since it is the only University left in the state without such a facility. “We are excited to deliver this project to students,” Davis said. Alyssa Sarrazin, psychology freshmen from Mandeville, said she likes the renovations and addition of the recreation center because it allows Nicholls to keep up with other college campuses. “All the new things and renovations leave a better first impression,” Sarrazin said. 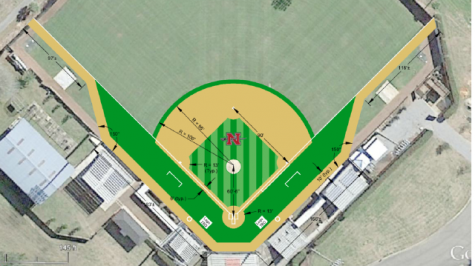 To offset budget cuts in the past few years, the University had to find new ways to fund projects that would keep Nicholls in competition for students. The Harold J. Callais Memorial Recreation Center is a project that has been in the works since 2003. 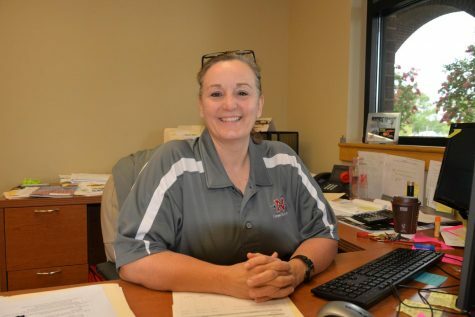 The recreation center was funded through the NSU Facilities Corporation, which is a 501(C)(3) corporation formed to help Nicholls with all of their construction projects. Davis said the state of Louisiana does not fund building projects such as residence halls, cafeterias and recreation centers. However, the state allows universities to work with 501(C)(3) corporations, which are public service groups that are allowed tax breaks, to speed up the construction process. The University leases the property to a 501(C)(3) corporation, which puts together a bond issue that is paid for by student fees. The corporation then constructs the building and, upon completion, leases it back to the University. When the bonds are paid off, the building becomes University property. Davis said without 501(C)(3) corporations and bond issues, construction projects could take up to six to ten years longer, a large time frame that would threaten University enrollment. While most students would like to see more money go towards tuition, Davis said money sold in the form of bonds for a certain project can be used only towards that specific project. Whitney Nelton, psychology junior from Houma, said she understands that delegated money can be used only for specific projects but still wishes there was a way to apply money towards degree programs and other things associated with academics. 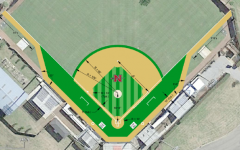 “I don’t think all these projects are wasteful, but I wish the state would also consider funding majors that Nicholls had to cut,” Nelton said. 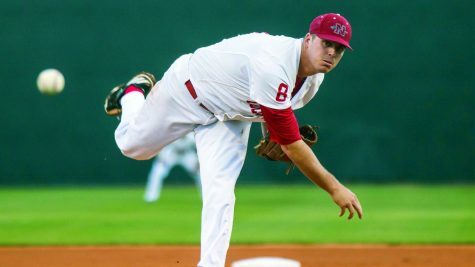 Another element of the recruitment process at Nicholls is the John Folse Culinary Institute. 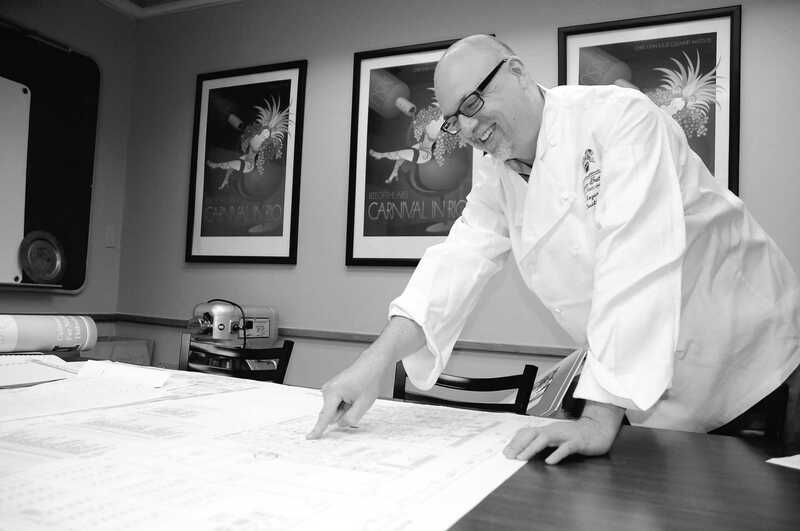 Over the past 15 years, the Culinary Arts program has grown from about 50 students to 300 students while their location remains in the same corner of Gouaux Hall. Unlike the recreation center, the Culinary Arts building is not a local project through the NSU facilities corporation and will not be funded through the sale of bonds. Instead, it is a state project through the Facility Planning and Control Office. The state has approved 8.1 million towards the cost of the building. The University had to raise 4.5 million through cash and equipment donations. There was no more than 2.2 million in equipment donations since the remaining 2.3 million was necessary to construct the building. Davis said the final design of the building should be complete by the end of September. The University hopes to begin the bid process for a contractor by November and make a decision on a contractor by the beginning of 2013. If everything runs according to plan, Davis said construction would begin in the first quarter of 2013. “Culinary is unique since the two biggest markets in Louisiana are hospitality and food,” Davis said. He also mentioned the importance of the growth of the Culinary Arts program since there are students who seek a spot in the program but the University lacks the facilities to educate them. The new building will allow the program to expand enrollment to around 500 students. The replacement of the elevator in Guidry stadium was necessary since it posed safety hazards and accessibility issues. The concrete block that housed the elevator became unstable and cracked while the structural steel frame corroded over time. Davis said the University had to petition the Louisiana Interim Emergency Board to approve $1,300,000 for this project. He said construction is near complete, but there was a problem with the elevator car. It will not be operational for the first home game but should be ready by the end of September. The new soccer field complex off of Audubon Drive costs $465,960, and the majority of the money comes from non-operating budget sources. Various entities contributed to the funds to complete the project, such as the NSU foundation, Lorio Foundation, Student Self-Assessed Fees, Saints Camp funds, Women’s Night Out Fundraiser and Plant Fund Accounts. The facility was completed in time for the team when they arrived at the beginning of August. The new complex is complete with a training room, locker room, public restrooms and space for a concession stand. 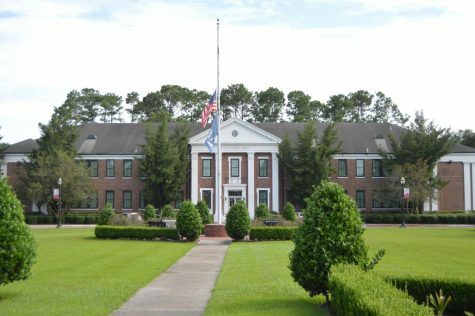 Money to replace the light poles in Elkins Circle stems from the Louisiana Postsecondary Education Secure Campus Program grant from the Board of Regents. Nicholls was appropriated $67,505 to fix safety concerns and fund security projects. After the University completed emergency siren upgrades in the Ayo Hall, Ellender Library, Ellender Residence Hall, Picciola Hall and Gouaux Hall, there was money left over to address other safety concerns. rations noticed there was insufficient lighting in front of campus. In addition, the existing light poles were installed 30 years ago and did not provide adequate light. Although the University purchased the light poles a year ago, an increase in workload caused a delay with the installation process. Davis said although the light poles address a safety concern, it also helps the University to move forward with plans to have uniform light poles across the campus. He said in recent years, the University also made more uniform statements with new street signs and poles to make the campus more attractive. “Little things make a big impact,” Davis said. In addition, he said, the more uniformed street signs caused people in the Thibodaux community to notice Nicholls’ efforts to enhance the campus environment. 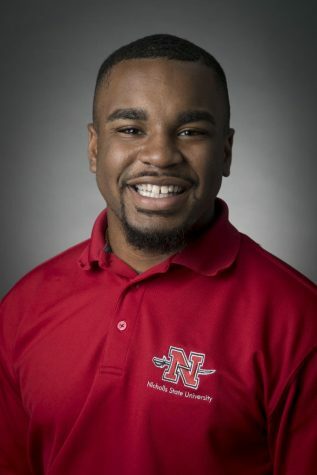 “All of a sudden we were being invited to Chamber of Commerce meetings,” he said, to inform the public of the changes taking place at Nicholls. During an economic crisis, emergencies may arise that require the University to take unexpected action. Davis said the roof on Stopher Gym is almost ruined, and the problem is worsened by daily rainfall. The insulation in the roof is saturated, and as a result, there are some leaks on the gym floor. The University collects 200,000 in building use fees, which can only be used towards academic buildings that have a direct impact on students. With recent summer budget cuts, Davis said he planned to hold off on any building use fee projects in order to conserve money in case there were another series of budget cuts at the beginning of 2013. However, recent news about Stopher Gym will require the University to use building use fees to fix the leaking roof. He also mentioned that all projects on campus were planned years before the economic crisis. However, continued construction and renovations around campus is a message that, despite budget cuts, Nicholls will still be here. “For the state to invest money into a building here, they don’t plan on closing us down,” Davis said.